This is my first year growing tomatoes and they are coming along fantastically! However, a couple of weeks ago the odd blackfly had become alot of blackfly. 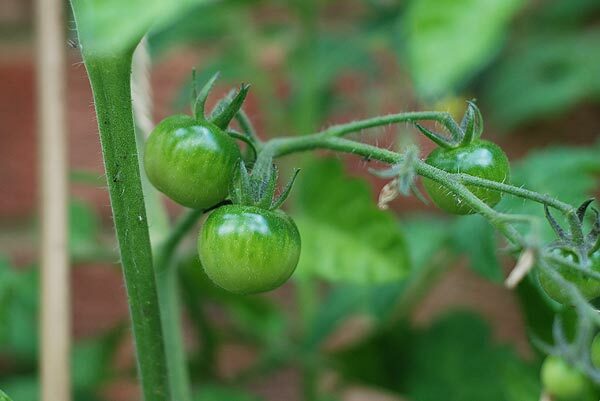 At first there were small numbers on the stems of the tomato plant, but they soon started appearing in greater numbers on the leaves, flowers and young fruits. One of the main reasons I’ve started growing veggies is that I want to do so without the use of chemicals and pesticides. A couple of people recommended I pick up a chemical spray to treat them but I wanted to keep this as a last resort solution. After a quick search online I managed to find some natural ways of treating the problem. Dilute 1 teaspoon of washing up liquid to 1 litre of water and spray onto your tomato plants – avoid doing this when sun is shining on the plants because it will scorch the leaves. It washes off the waxy coating that stops them from dehydration and it blocks up the pores which they breathe through. Yes, but I needed to spray quite frequently. I used Ecover washing up liquid, so maybe I needed to use something a bit stronger. Pick 2 cups of tomato leaves. 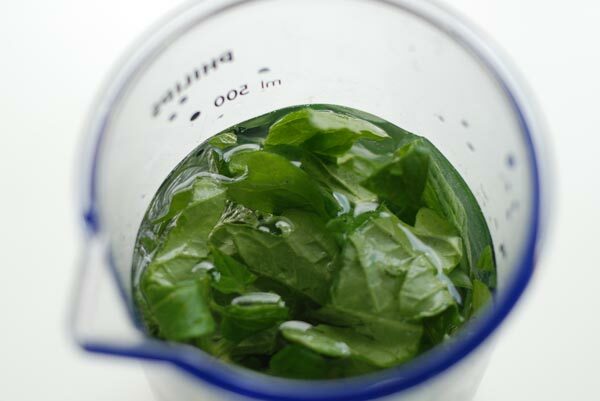 Chop the leaves up (to release the alkaloids) and let them steep in water overnight. Use a sieve or piece of muslin/cheesecloth to strain the leaves out. Add a further 2 cups of water to the mixture to dilute and put into a spray bottle. Spray your tomato leaf spray onto your tomato plants as and when needed. Do not spray the mixture onto your plants when they are in direct sunlight as this will scorch the leaves. This mixture is non-toxic to pets. 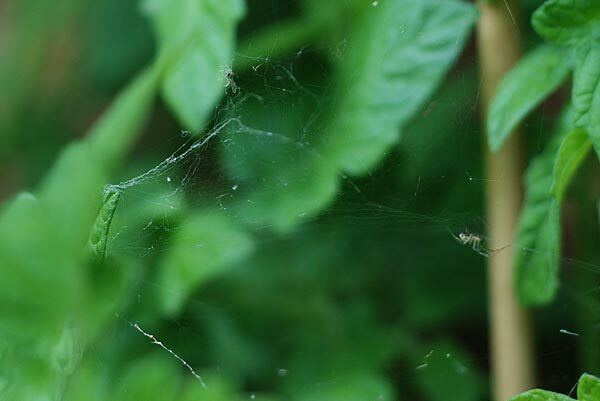 Tomato leaves contain alkaloids which are toxic to pests such as aphids. Absolutely! My first spray kept the aphids away for a week and even though some have returned they are much fewer in numbers. I kept the spray in my fridge so that it kept until the next time I needed to spray. This one was a bit of an accidental discovery. The spider webs have done a great job of ‘netting’ blackfly. This is by no means an exhausted list, just the methods I have tried so far. Other bug busting methods include garlic spray, banana peel, foil on the ground and using sacrificial plants. If you’ve had success with any of the above methods, or have any more tips, leave us a comment!